If you recall from our last episode, I said you have to think of your brand like an iceberg. On the surface are all the manifestations of your brand – things like your colors, your logo, your tagline, and your commercials. 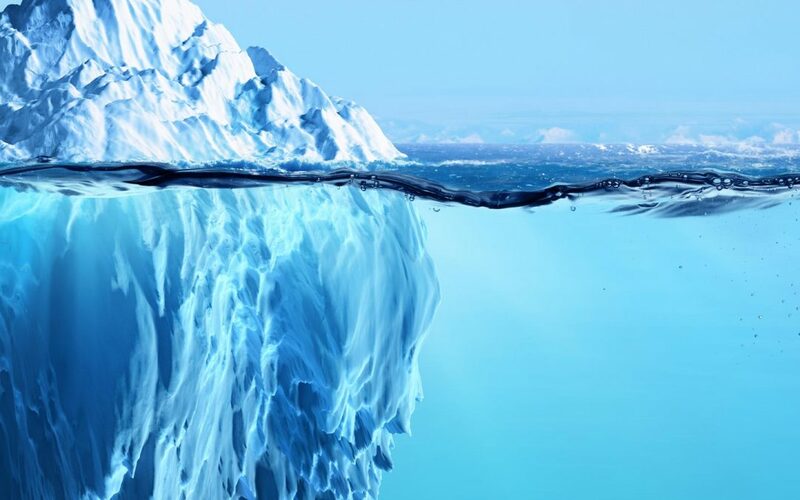 But, when you dive below the surface of that iceberg, you find so much more supporting the brand. These things are the foundation of your brand, and indeed they ARE your brand…things like human, functional and emotional capital. Last time we talked about the human capital of your brand. Today, I want to talk about some of the functional aspects of the brand – those things that impact the guest experience. First, let’s talk about the real behind the scenes stuff like your database and knowledge management. Now you may be thinking databases are usually full of numbers and that doesn’t seem to have anything to do with the brand, but they hold a big key to brand engagement. Databases that go beyond simple contact information can include customer history and behavior, communications records, information about the use of offers and so much more. The vast amount of information that you can get from social media can give you so much more than likes and shares as customers share their experiences with their networks. Along with that database comes knowledge management – or how you manage all the stuff you’ve tried, learned or discarded. Maintaining an organization’s knowledge can create value for the brand. These are the initiatives, processes, strategies, and systems that sustain and enhance the brand. Did you know that poor knowledge management costs Fortune 500 companies upwards of $31.5 billion every year? And that effective knowledge management can increase a company’s productivity by 10 to 40%? Great brands have systems to help its people share, access and update business knowledge and information. Whether it’s cross-training programs, social networking tools, chatbots or just plain ole document management structures, they realize the more they know, the more they grow. Now, let’s talk about that guest experience, Net Promoter Score, and loyalty programs. I have this “thing” about guest experience vs. customer service. I used to work for a company that saw customers as a total of what they spent on an average visit. That data allowed the company to understand service needs and visit triggers. But that’s all those people represented to the company. They were just numbers. A few years later I found myself working at a company where the data was undeniably important but not as important as the experience we created for guest. Our leadership knew that if we built the right experience, the revenue would follow. It was while I was at this company that I was having a conversation with a very wise man. His name is Andy Olson, and he not only showed me how to look at events differently, but he also made an indelible impression on my brand marketing work. When I happened to say the word “customer” – the word I had been trained to use at my former company, he corrected me and said, “These are our guests. We welcome them in and treat them like guests in our home.” That was a moment for me. It made me realize that customers are data and guests are humans who yearn for great experiences. My point is that this very simple shift will change the way you look at your service and can very likely change the trajectory of your company’s growth. Now let’s talk about Net Promoter. If you’ve ever answered one of those “would you recommend” survey questions, that’s Net Promoter. It is a way to measure the guest experience which many believe can predict the growth (or not) of your business. Customers are asked if they would recommend your business and they answer based on a scale of 1 to 10. The answers are then grouped into promoters – those that give you a 9 or 10, passives – those that give you a 7 or 8, and detractors or unhappy guests that can damage your business with negative word of mouth. Tracking a measurement like this – or another of your choosing – can allow you to maintain a focus on the guests in addition to providing a sense of ownership and pride with those who directly influence the guest experience. Now I have to talk about loyalty programs. I take a deep breath because while many companies do loyalty programs well, there are way too many who don’t. Loyalty programs should be designed to inspire loyalty to your business or brand, but all too often we lose our marketing souls in a vortex of offers and discounts. Let’s say you are shopping for cereal for the family. You usually buy Cereal A. The kids love it, and it has a sufficient amount of nutrients and hopefully not too much of the bad stuff. But, today, you have a coupon for Cereal B. You look at the package and compare the two, and you decide, “Why not use your coupon and try it?” The next time you’re “makin’ groceries” as they say here in New Orleans, you have a coupon for Cereal B again and you buy it. Loyal? Hmmm…How about the following week when you don’t have a coupon. You go back to Cereal A. Why? It could be because you feel A is a better option. It could be because B was only a better option with a coupon. The last car I purchased was a brand that I had bought several times already. I had no coupon, but I like the service I’ve gotten and the cars themselves. The experience both in and out of the car has made me brand loyal. The experience and service and how your guests connect emotionally to them play a huge part in your brand even though you never really see them like you do a logo or an ad. What lies beneath the surface of your brand should carry the same attention you give your outward communications.